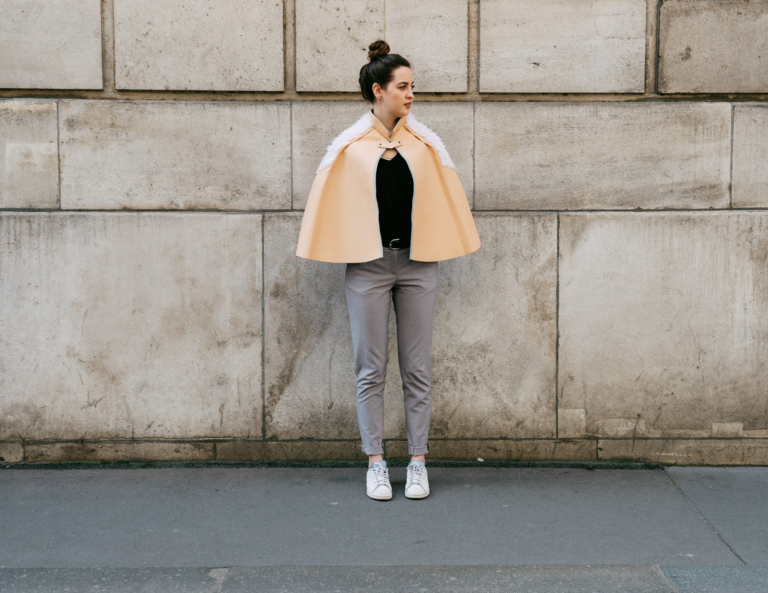 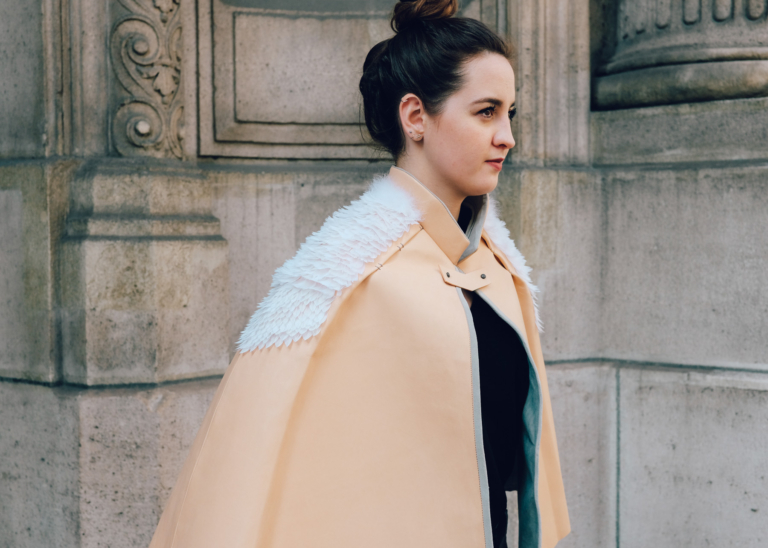 Sometimes a superhero, sometimes an emperor or a ballerina… This cape confer a graceful gait, natural and creative on everyone who wear them. 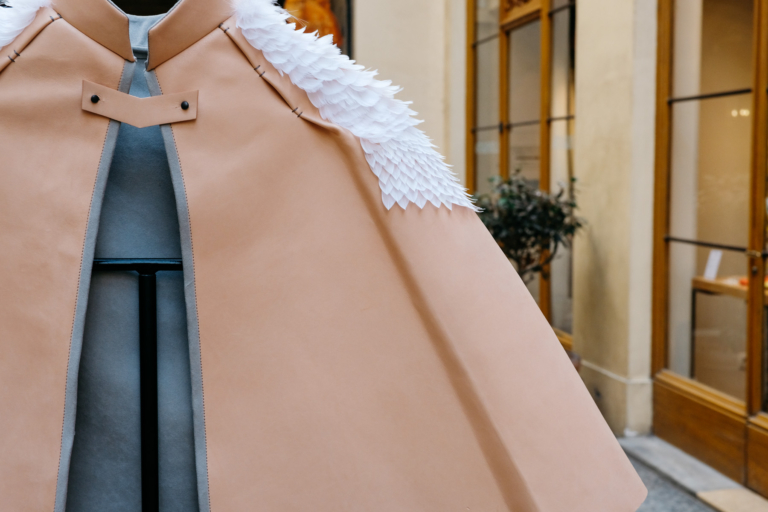 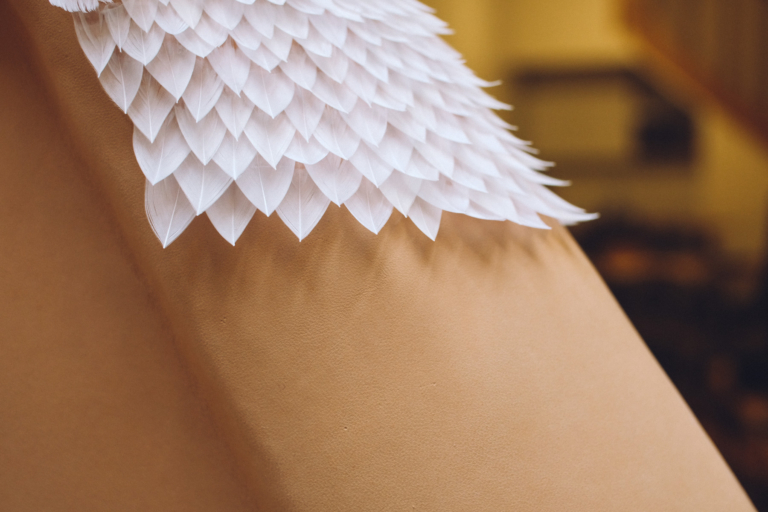 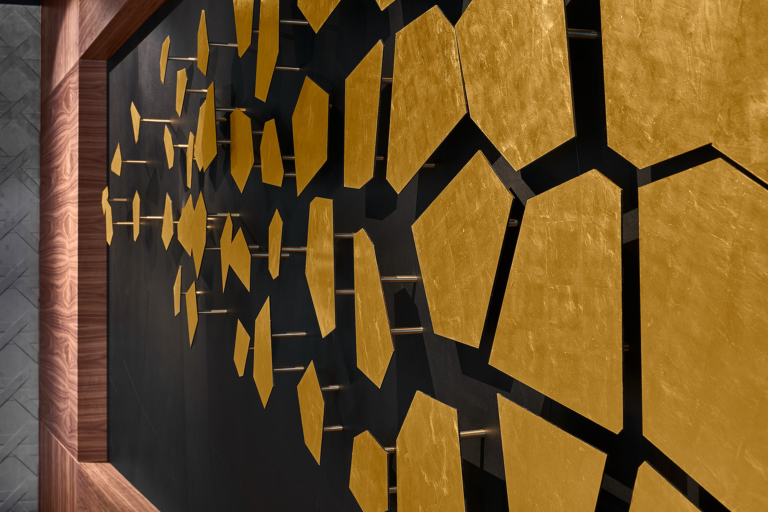 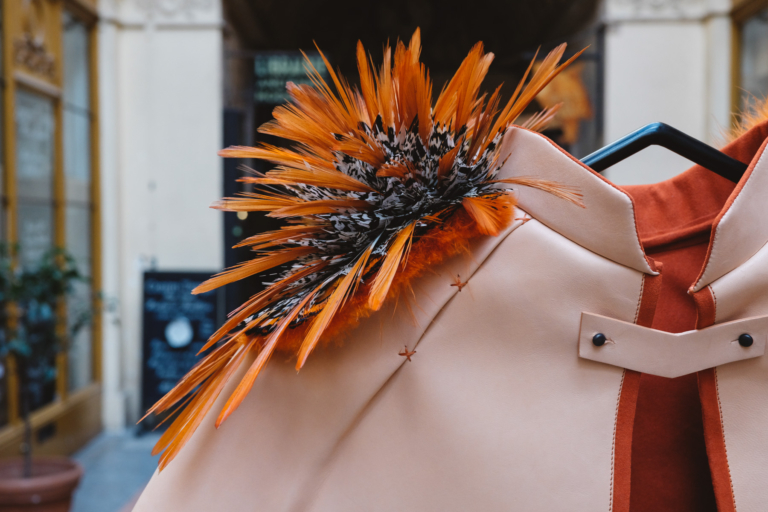 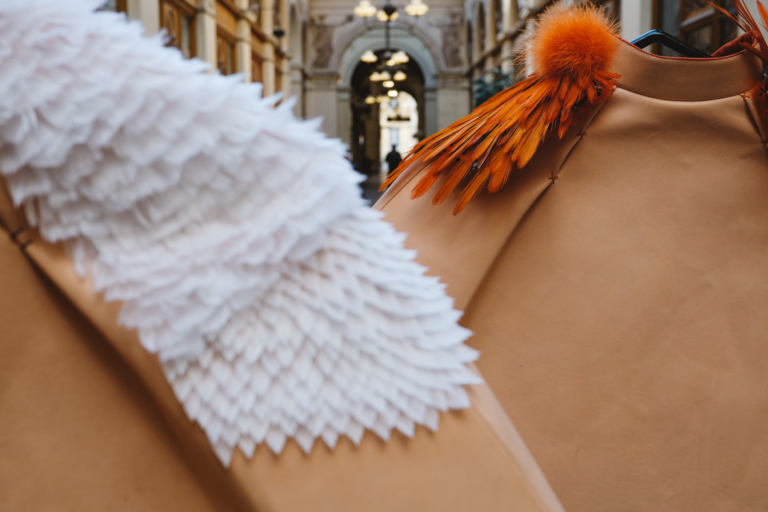 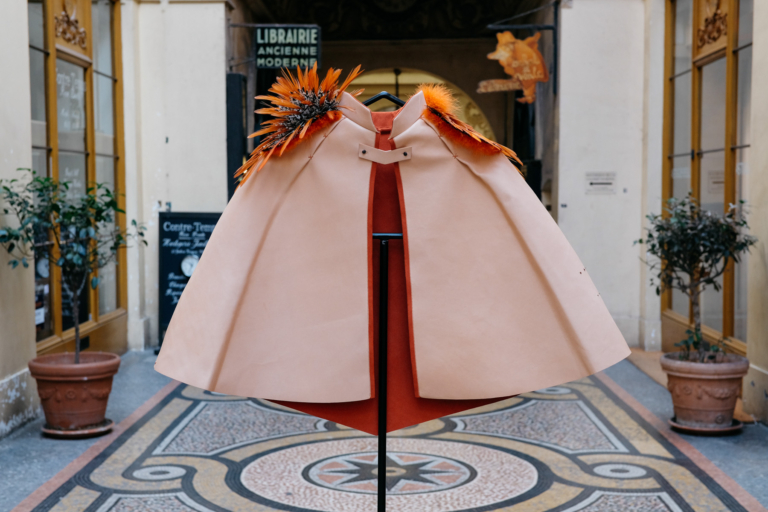 Designed and manufactured entirely by hand, these capes emphasize the craftsmanship in an elegant, modern and graphic way … A wonderful collaboration between feathers and leather. 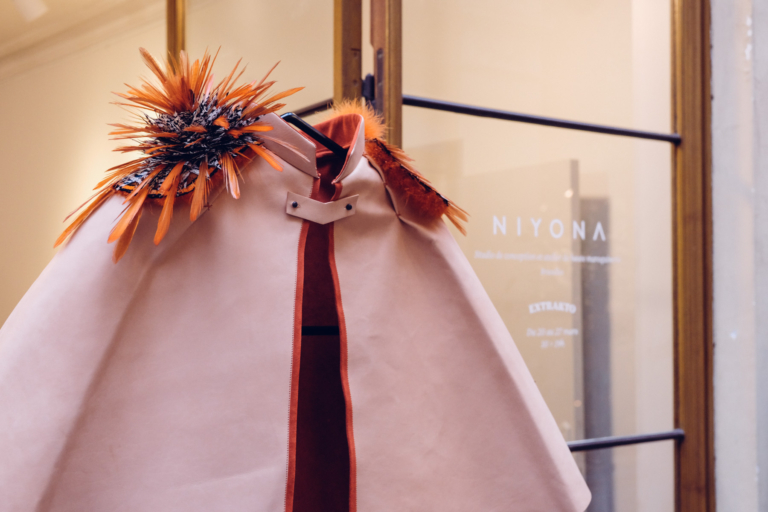 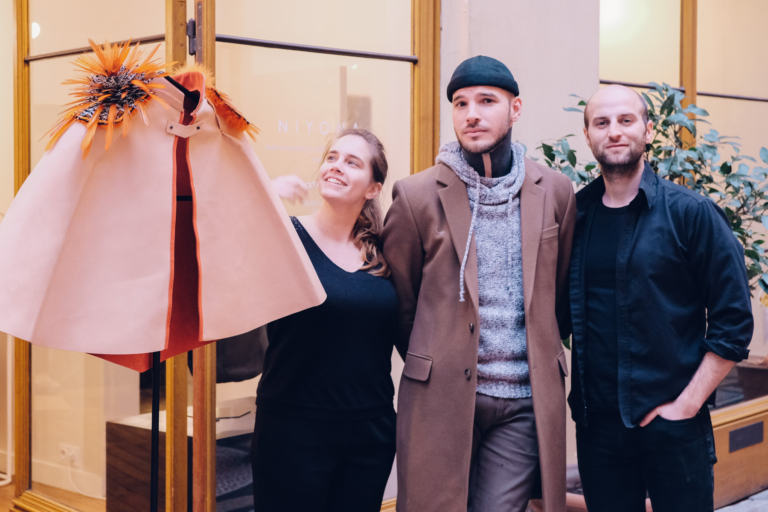 They were created in leather with a vegetable tanning, lined with alcantara fabric, in our NIYONA Fine leather goods studio in Brussels. 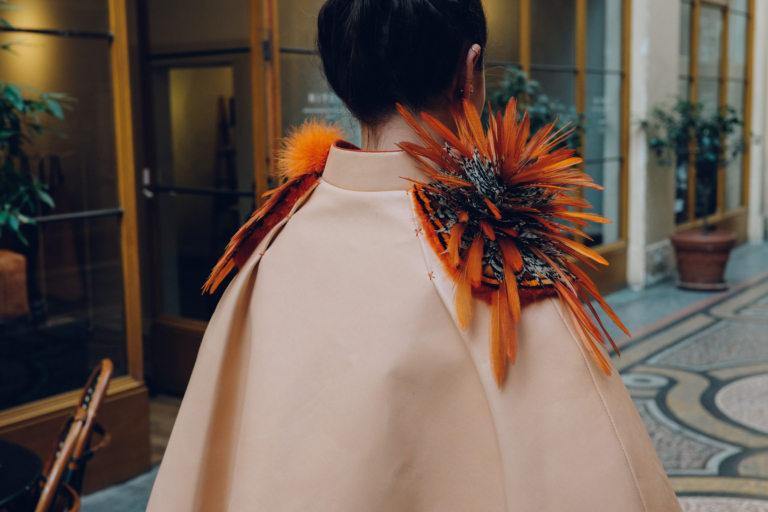 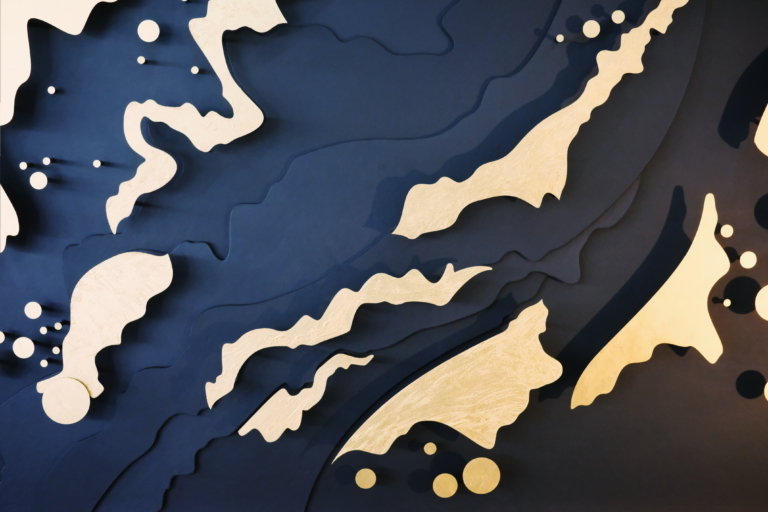 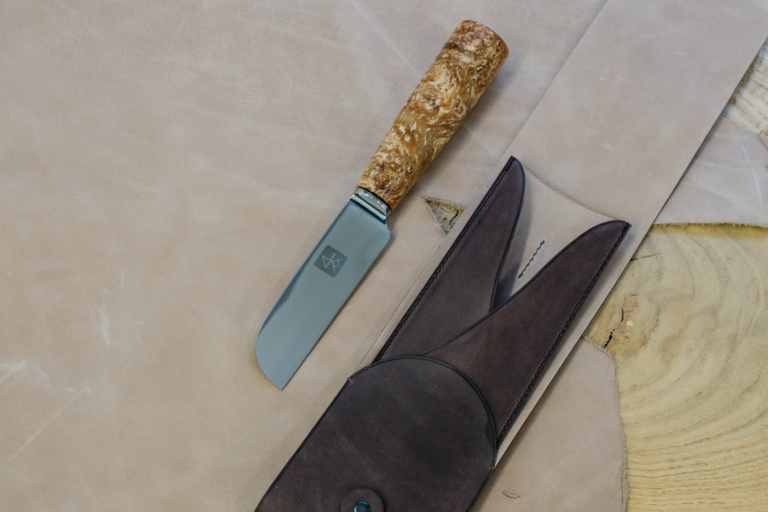 Then, they were worked by Maxime Leroy, well-known Plumassier (feather artisan), from M.Marceau in Paris. 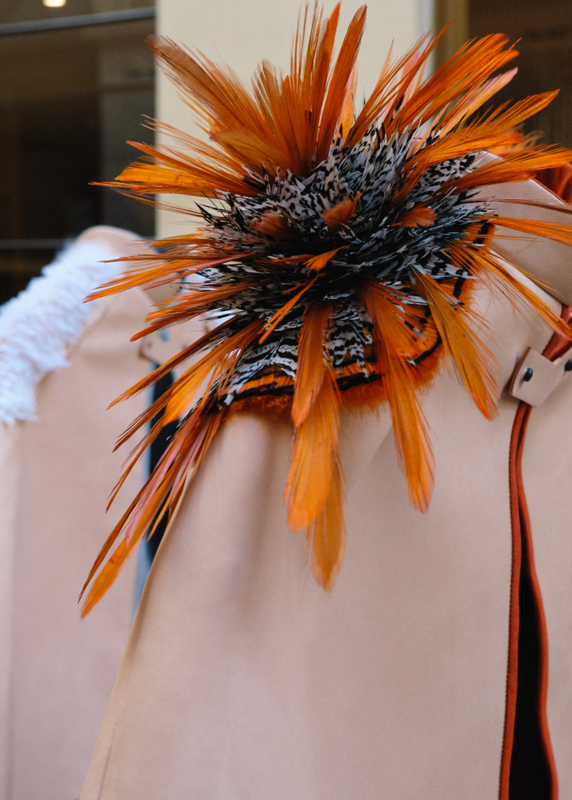 One with white goose feathers and the other in pheasant Lady Amherst, golden pheasant and turkey marabout feathers.